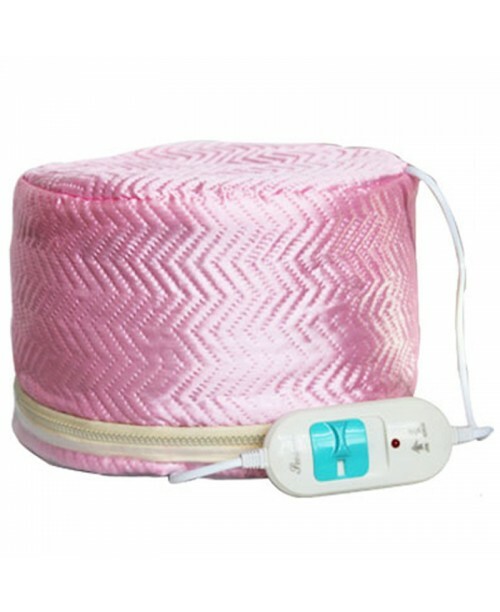 Portable flame-retardant electronic temperature control heating cap. The inner embedded cloth is waterproof and anti-electricity, and it is detachable and convenient to be washed. Two level of temperature controlling, you can adjust the switch to your favourite temperature. A flame-retardant product, more secure and adjustable with a drawstring. It is a great investment, for your hot oil treatments, scalp stimulation, deep conditioning.